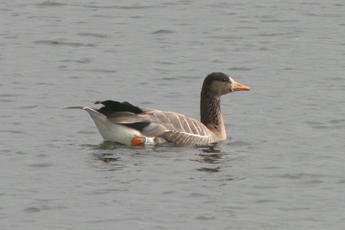 A grey goose, bigger than a Mallard and smaller than a Mute Swan. 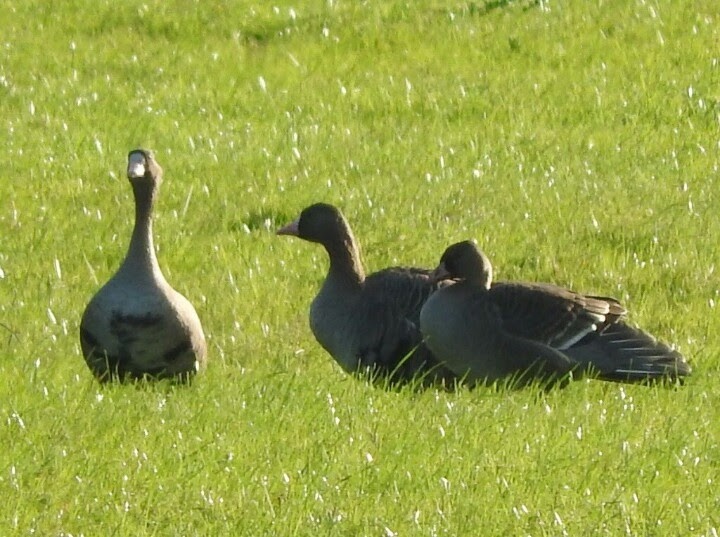 Adults have a large white patch at the front of the head around the beak and bold black bars on the belly. The legs are orange. Males are generally larger than the females. There are five subspecies worldwide, two of which visit the UK. Siberian birds (the European White-fronted Goose, Anser albifrons albifrons) have pink bills, while Greenland birds (the Greenland White-fronted Goose, Anser albifrons flavirostris) have orange bills. Tundra lakes, wet meadows on migration flooded fields & estuaries. 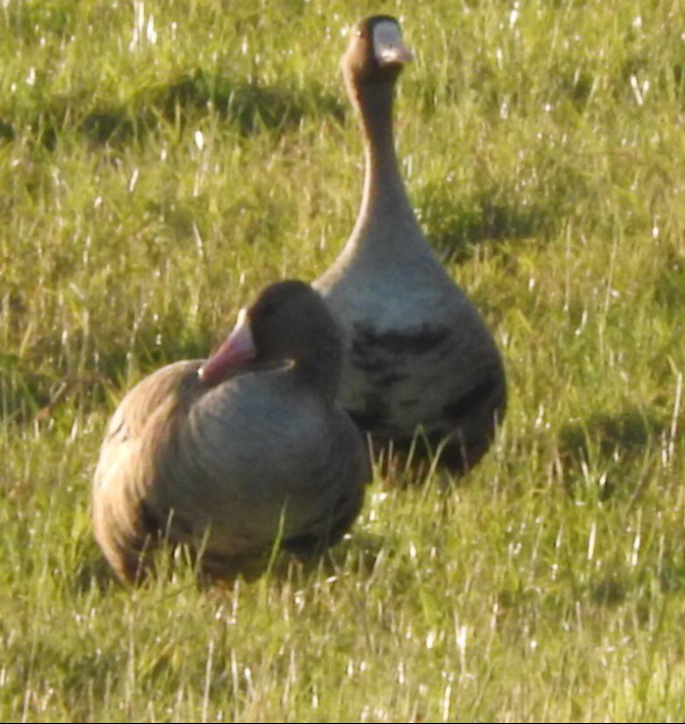 Southern England especially the Severn estuary in Gloucester and the Swale estuary in Kent for Siberian birds; Ireland and West Scotland for Greenland birds. Winter migrant - 2,500 individuals.